Have you been sorted? "Or yet in wise old Ravenclaw, if you've a ready mind, where those of wit and learning will always find their kind." 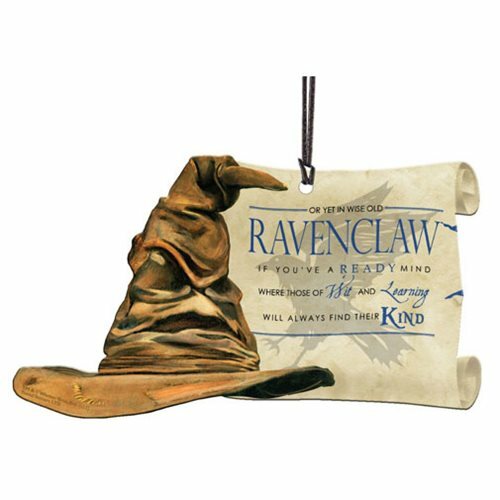 So say the words on this magical Harry Potter Sorting Hat Ravenclaw Hanging Acrylic Print. Measuring about 5 1/4-inches wide x 3-inches tall, this light-catching decoration is made entirely of acrylic! It's perfect for your tree, in your year-round home décor, as a unique car mirror decoration, or as a zipper pull. Hanging string included.